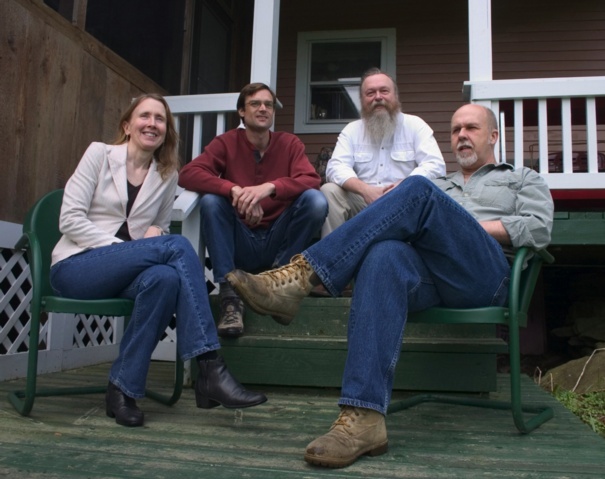 Cordwood includes four seasoned musicians. Walt Kutylowski is a singer, songwriter and bass player alternately appearing with his brother in "Fat Hands". Al Pratt, singer, songwriter, guitar and banjo, is known throughout the seacoast as a solo performer and as a member of "Big Chicken." Bob & Wini Young have been singing bluegrass duets for a long time and have appeared with Manic Mountain Boys and MMB All Stars. Wini is on guitar and banjo and Bob's on mandolin. 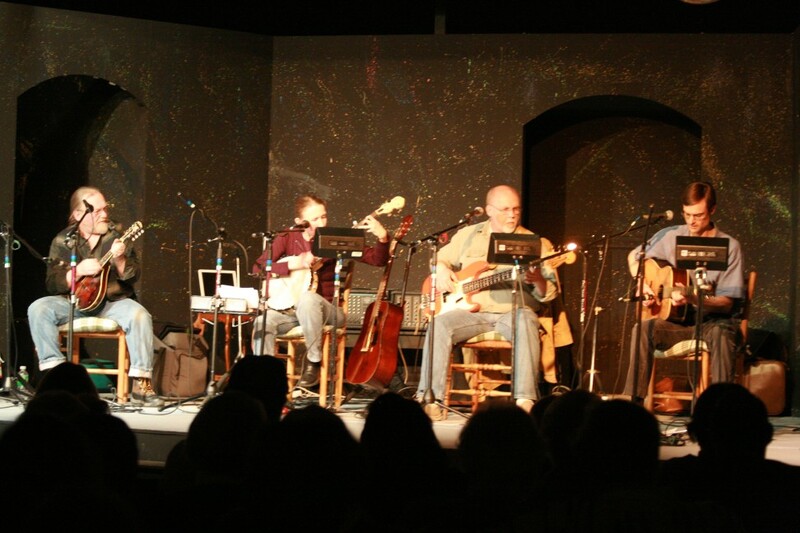 Cordwood continues to dazzle local audiences as one of the anchor bands for the Nippo Bluegrass Series, with their now legendary standing room only benefits with story teller Rebecca Rule, appearances on the Rochester and Franklin Opera House stages, The Big -E and live performances on NH Public Radio. Their down home style and banter, coupled with fine musicianship, have gained them an enthusiastic and loyal following. Cordwood can be heard in the soundtrack of the highly acclaimed short film, "A Moment of Anger." 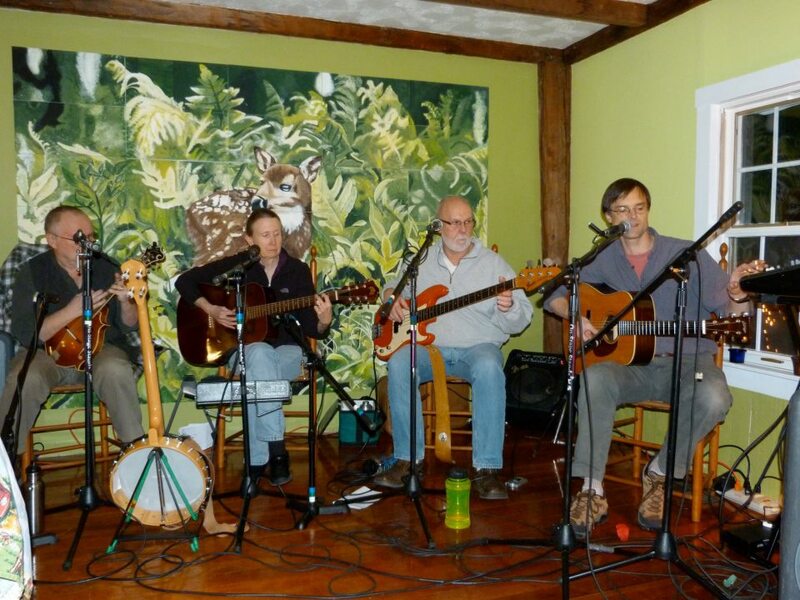 Cordwood is a concert and recording band, but we are a hoot at private parties. 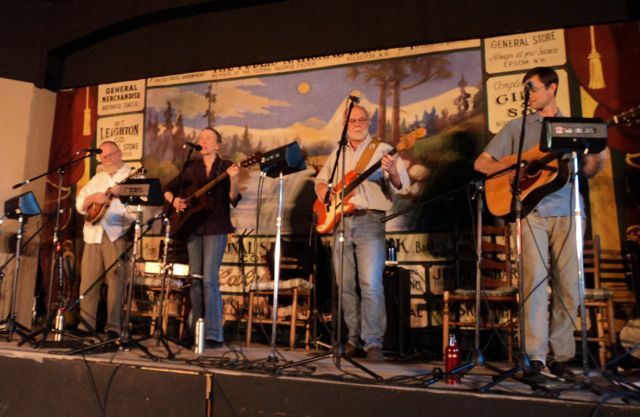 Our material is a mixture of traditional bluegrass, folk and swing. 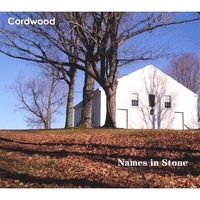 With four nationally known singer/songwriters in the group, CORDWOOD has a wonderful collection of original material. Down from the Hill- single mike Buy "Names in Stone"